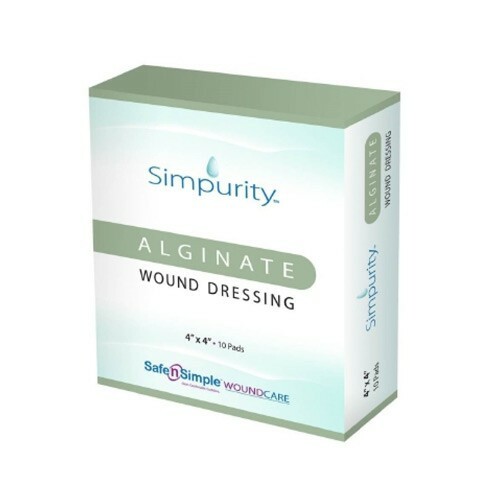 This is an off-white, odorless alginate wound dressing from Safe N Simple. Calcium alginate dressings are used to fill both partial and full-thickness non-healing wounds. This is accomplished when the alginate interacts with the wound resulting in a sodium gel. During this reaction, Simpurity releases calcium ions improving homeostasis. Simpurity has a high wet tensile strength and is designed to be easily removed. My second order, excellent price and good service. I no doubt will need additional supply of the product due to a long wound healing process . I will definitely reorder when needed.